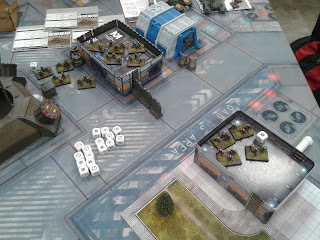 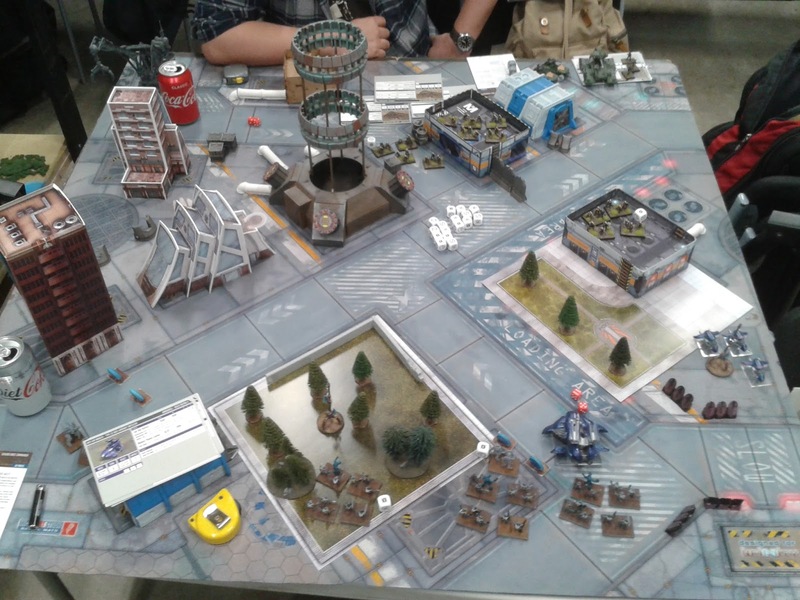 During the covenant invasion of the city of Elysium a ground of marines is defending the power plant in sector 45. Aware that if the covenant capture this place could result in the destruction of several blogs of the city and losing power of the defence batteries of the sector. Ready to sell their life for a high price the UNSC would never let the aliens take their city. 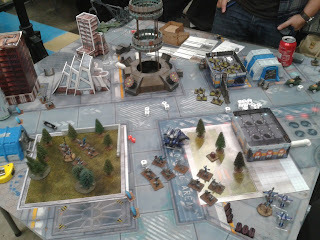 The battlefield: Cities streets, several buildings and 2 fores (represent by gardens). The covenant advance using the cover of the forest, the phantom appears on the sky and drops a supply cache for the covenant land forces dangerously close to the occupied UNSC building. 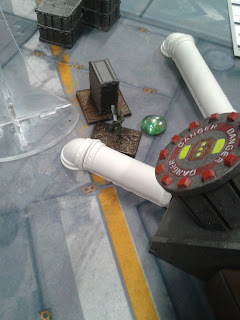 During this manoeuvre the alien airship is hit by rocket launchers from the central building, losing one damage level. The ghosts open fire again and clean the building of humans, while the phantom doge the fire of the missile launchers and leave the battlefield by the north, during those intense moments humans advance to open fire to the covenant in the forest close to the building and several missiles damage twice the Wraith tank, meanwhile with a roar a unit of Warthogs arrive as reinforcements! 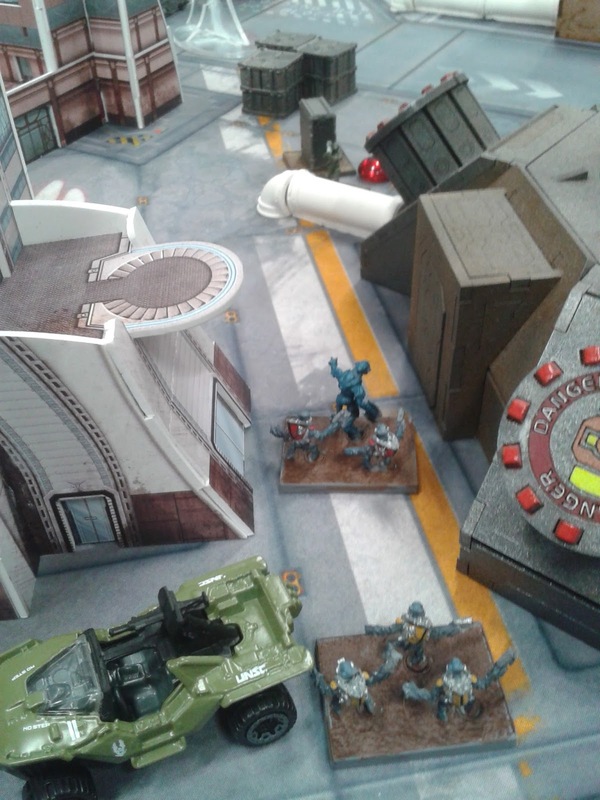 The commander elite with his sword decide to end with the infidels and charge the unit of humans on the open street, dogging the shooting he mange to reduce the unit to a single base. 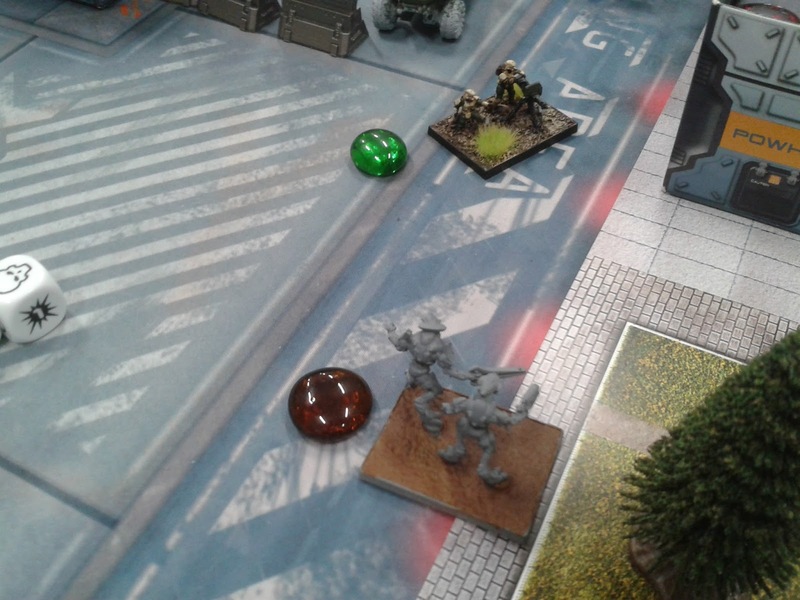 Meanwhile on the north a single hero advance in the buildings, is the Spartan pablo! (yep, that is the name that ONI give him), he reach the base of the power plant, where a Pelican pas over and leave a weapon cache. Seeing this threath the two hunters charge Pablo, but the Spartan use his laser and kill one on round 3, and the second in the beginning or round 4. 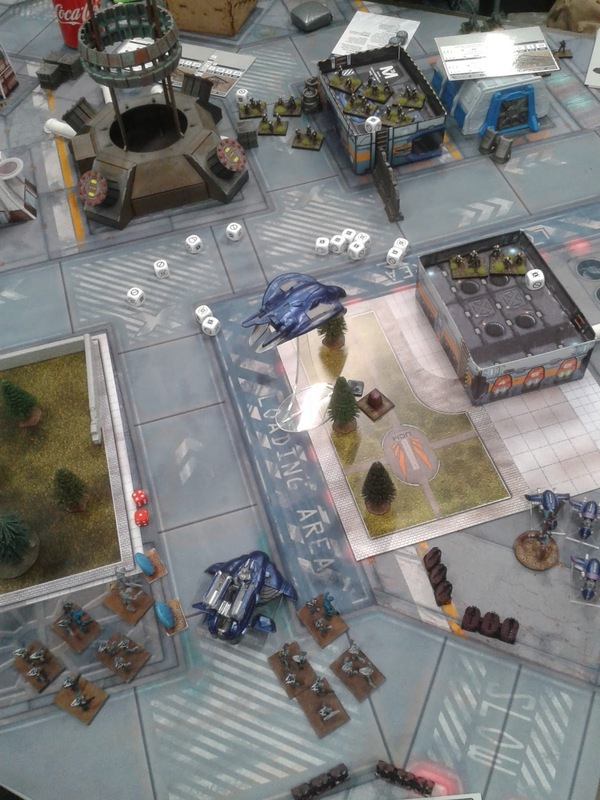 During those tense moments the Wraith (that was the anti air varian) open fire tanking one damage level from the Pelican. The last human reinforcements arrive! 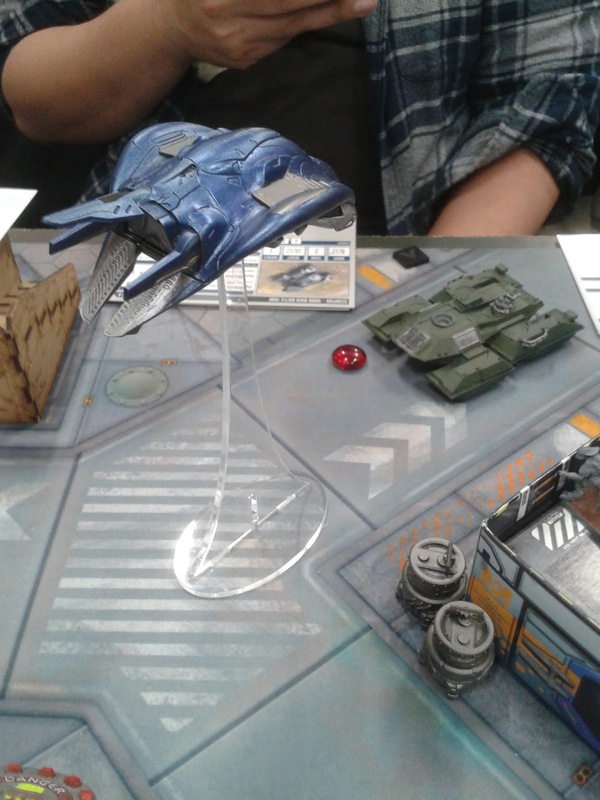 An Scorpio tank enter the battle and destroy the covenant tank that during two rounds dodge the missiles from the humans, turning him into a pile of metal and fire. 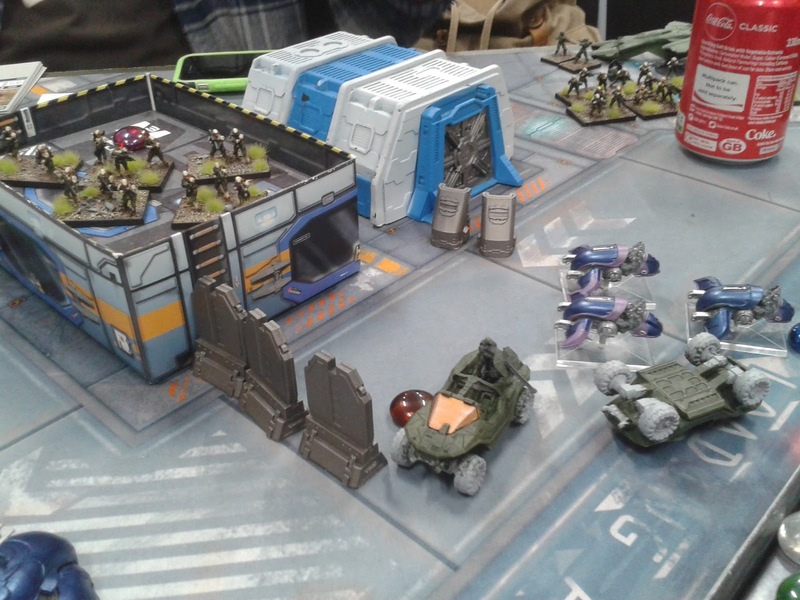 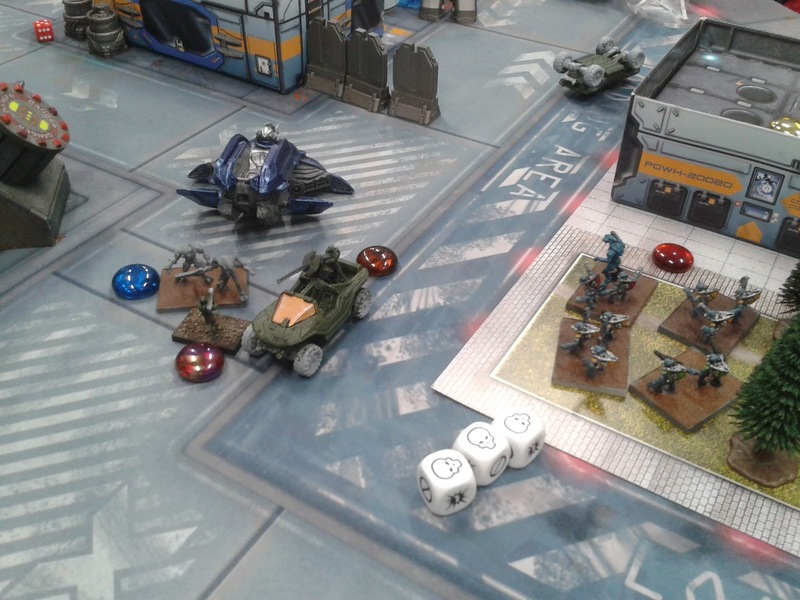 The Ghost outflank the warthogs and kill one of the vehicles during this turn. 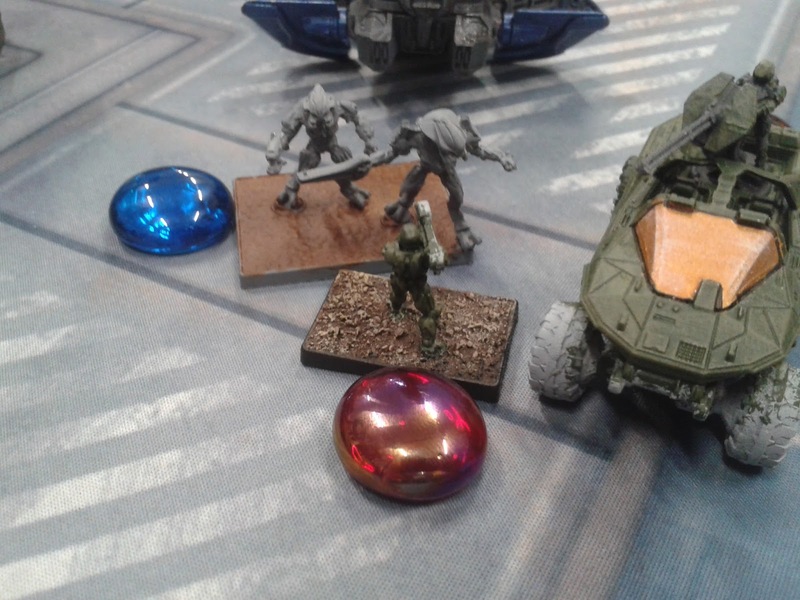 The unit of Grounts from the far forest cross the street and charge the Spartan Pablo!, during tense moments lasers and plasma shots are interchange, but Pablo manage to kill them all. 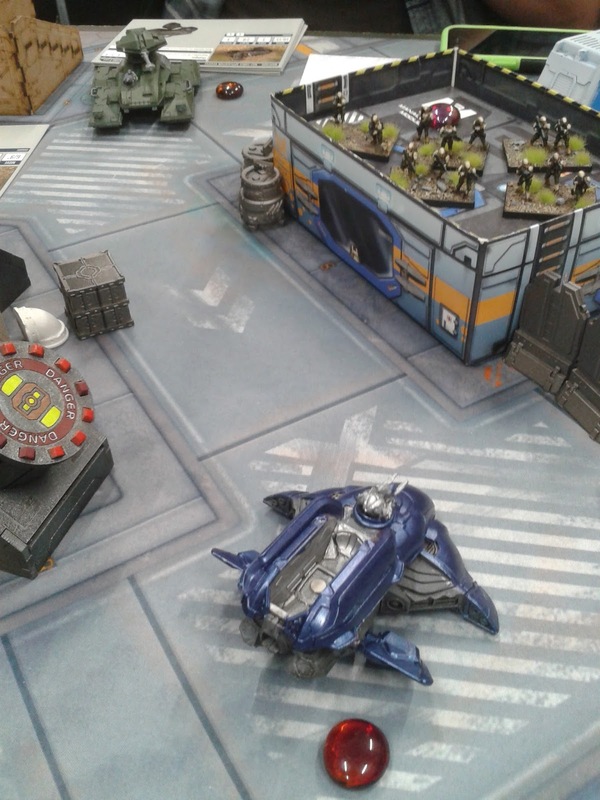 The Ghost kill all the humans from the building, but the scorpion tank move to shooting position and kill one of the ghost in retaliation, to be follow by the Pelican that returned to the battlefield and finish the ghost unit in a swift barrage. 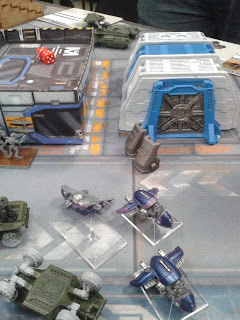 The covenant commander had enough and call for the phantom, who enter and destroy the Scorpion tank with his firepower. The battle ended with a fight in the centre, the last Warthog kill the grount unit in the forest, the Spartan and Elite commander interchange blows but none died, at the end of the round the defenders still alive.